AmazonDiptyque’s classic candles cost $US65 each. 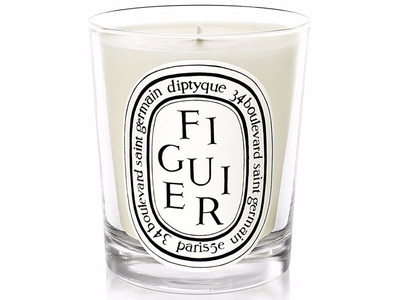 French fragrance company Diptyque is known for its expensive, high-end candles. In a recent interview with Business Insider, the company’s CEO explained the manufacturing process that makes the candles worth the $US65 price tag. The company is now ramping up focus on its personal fragrances business in the US. French-born brand Diptyque has been at the forefront of high-end candle making for decades. The company dates back to 1961 and Boulevard Saint-Germain in Paris, where three artistic friends – Christiane Gautrot, Desmond Knox-Leet, and Yves Coueslant – set up a shop selling their designs. The three founders were responsible for creating the early versions of the candles and personal fragrances that are found in its stores today. However, the business has since changed hands – it was bought by a London-based private equity fund, Manzanita, in 2005, and its current CEO, Fabianne Mauny, joined in 2007. In the US, Diptyque is best known for its candles, which are showcased in elegant boutiques. A cup-sized candle costs $US65 and comes in expensive-sounding French scents such as Figuier, Feu de Bois, and Feuille de Lavande, which translates less romantically in English as Fig Tree, Wood Fire, and Lavender Leaf. There’s a mini version of these scents that costs a more modest $US35. You could, however, end up spending as much as $US315 on an outdoor candle at Diptyque. Facebook.com/diptyqueA look inside a Diptyque store in Bal Harbour, Florida. When Diptyque originally came to the US in the 1990s, it was sold primarily in Barney’s and Bergdorf Goodman. But after the company changed hands in 2005, the new management started to make strides in the US market and opened its own stores. Today, there are 20 Diptyque locations around the country. The brand has nailed the allure of shopping in what feels like a French store: elegant spaces, a limited amount of products to keep a feeling of exclusivity, and items placed in expensive-looking packaging. 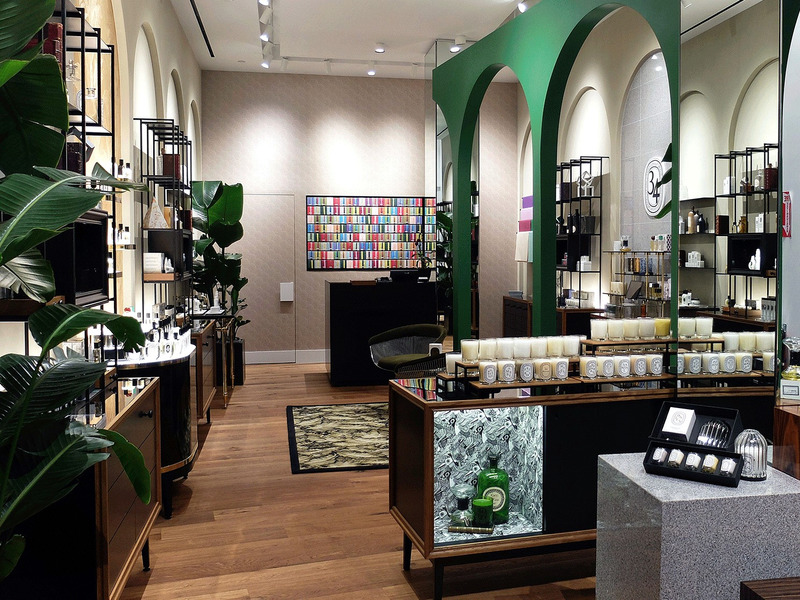 Business Insider spoke to Mauny and the president of the US arm of Diptyque’s business, Julien Gommichon, at a fragrance-focused pop-up it recently launched in Soho. The work is done manually, and production can only be done in small batches – hence, the hefty price tag, according to Mauny. “It’s not a simple cooking recipe. It takes a lot of time and adjustmentto make sure we create the right wick and wax mix to ensure that the candle will burn in the right way,” she said. Each wick is straightened by hand to ensure it burns correctly. Mauny says that Diptyque customers are getting a good deal when considering the work that goes into each candle. “If you look at the market for someone, you cannot say that Diptyque is an expensive brand. On the contrary, we are on the right level for a product of such high quality,” she said. An equivalent candle at Estée Lauder-owned candlemaker Jo Malone, for example, also costs $US65. DiptyqueDiptyque’s products are encased in high-end packaging. 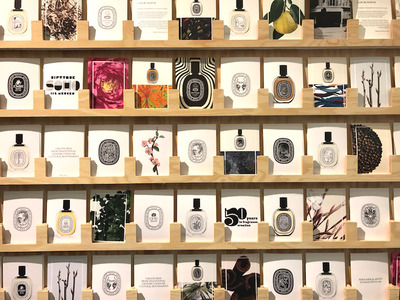 Diptyque is now ramping up marketing of its personal fragrances, which, according to Mauny, have higher margins than candles because they can be mass-produced.Eaux de toilettes cost between $US95 to $US135, depending on the size. The company’s mini fragrance store – open for a limited time in the Soho part of New York City – has a series of stations where customers have the chance to sample the different ingredients that make up each bottle. This experiential shopping space could be seen as a move to target the millennial shopper. But Gommichon said the brand doesn’t market to any consumer in particular. “We communicate what we do in the most spontaneous way and hopefully it will reach people of different ages and origins,” he said. So why are these expensive products resonating well with a generation of price-savvy customers?